Events and information related to The Connection, FMGSP’s newest membership level for young community members who wish to help “promote the enjoyment, understanding and appreciation of gardens, sculpture, the natural environments and the arts” in an innovative and fun way. The Connection is a membership level at Frederik Meijer Gardens & Sculpture Park, comprising of a group young professionals in the area who wish to help “promote the enjoyment, understanding and appreciation of gardens, sculpture, the natural environments and the arts” in an innovative and way. On April 19, The Connection held a Spring Break event that featured food from Qdoba Mexican Grill, an open bar, hands-on activities, a “Behind-the-Greens” tour with Director of Horticulture, Steve LaWarre, live entertainment, networking and more. Recapping the event is Connection Steering Committee Member and Associate at Dykema, Elisa Lintemuth. Lintemuth has been an active member of The Connection since 2010. Guests of The Connection mingled before the "Behind-the-Greens" tour. On Thursday, April 19, I attended The Connection’s Spring Break event at Meijer Gardens. 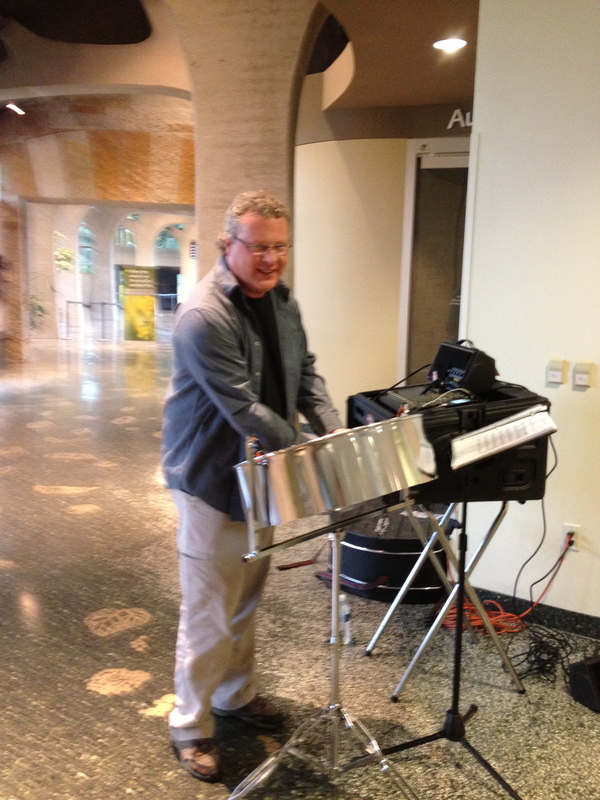 Spring was in the air as we ate dinner from Qdoba to the tropical sounds of Greg Secor of Pangea on the steel drums. After time to socialize and enjoy the open bar (with many people opting for the night’s special tropical drink), we had time to walk through the Butterflies Are Blooming exhibition as the butterflies were settling down for the night. What did Steve LaWarre discuss? Director of Horticulture, Steve LaWarre, gave us a private tour of the conservatory and pointed out several interesting plants. We all had the opportunity to try a seed from the cacao plant, and I learned that cacao tastes nothing like chocolate in its natural form. I had not realized what a process cacao beans go through to become cocoa and how lucky we are that early civilizations made the fortuitous discovery of chocolate! Following our tour of the conservatory, Steve directed us in planting our own Scarlet Runner Bean, which we were able to take home to enjoy. Greg Secor of Pangea played the steel drums. I really enjoyed being able to go through the Butterflies exhibition with friends. Meijer Gardens was closed to the public at the time of our event, so it gave us an opportunity go through the conservatory without crowds of people around. How can and why should people get involved in The Connection? Personally, I enjoy being part of The Connection because it gives me a chance to meet other young professionals in the greater Grand Rapids area and to spend time with other members, who have become my friends. The events always include a delicious menu and a chance to learn something new—whether it is a behind the scenes tour of the Gardens, a sneak peak at ArtPrize and an opportunity to interact with the artists, or an informal lecture from the curator on a new exhibit. I am also looking forward to attending the Tuesday night concert series this summer with The Connection members. If you are interested in learning more about The Connection, please come to our next event on Wednesday, June 20—we’ll be enjoying an Italian Bistro themed dinner and bocce ball on the lawn. People can find out more information about the next Connection event by e-mailing Katie Racey at kracey@meijergardens.org or by contacting any of the Steering Committee members. The Connection: Italian Bistro was held on Wednesday, June 22. 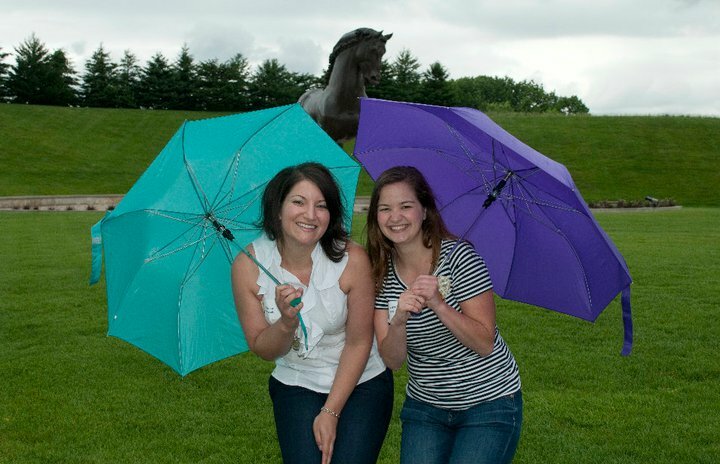 The event was originally supposed to be held outside on the DeVos Van Andel Horse Piazza, but Mother Nature had other plans so food and drinks were inside and guests had the option to tour the outdoor sculpture park. The Italian inspired menu featured antipasto and Caesar salad, mini Italian sandwiches, bruschetta and cannolis which were a perfect complement to the wine selection available at the bar. Italian music helped everyone get into the spirit as they socialized and networked with one another. One of the benefits of being a member of The Connection is the ability to have behind the scenes access to Meijer Gardens. Guests of the event were able to walk around and enjoy the Sculpture Park while paying special attention to the sculptures in our collection that were created by Italian artists. 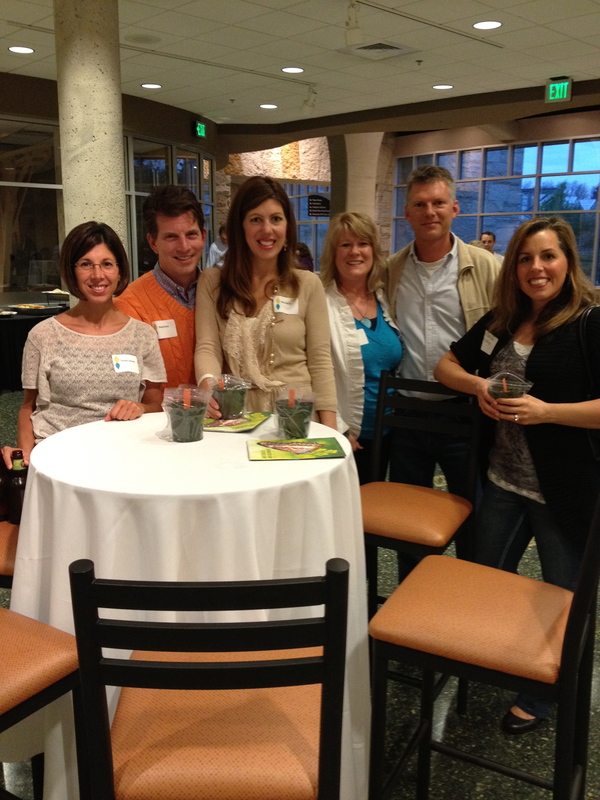 This event was another excellent way to experience one of the many facets of Meijer Gardens! View more photos of the Italian Bistro event. The Connection: Be Merry and Mingle was held on Thursday, December 16, 2010 at Meijer Gardens in December amidst the Christmas and Holiday Traditions Around the World exhibition. It was a great night full of Christmas festivities including a coffee bar, cookie decorating and many different desserts. Cookie decorating is a lot of fun no matter how old you are! One of the best parts of the night was seeing the decorated Christmas trees exclusively with the other guests at the event. It was such a nice way to relax during the holidays and network with the other guests. There is no other place around here where you can see such beautiful Christmas trees and then enjoy the tropical warmth of the Lena Meijer Garden Conservatory. No matter what the season, the Gardens always provides the perfect setting to be merry and mingle. Check out photos of the event and add yours on our Facebook page. The Connection, a membership level at Frederik Meijer Gardens & Sculpture Park, is a vibrant group of community members in the West Michigan Area in their 20s, 30s and 40s who wish to help “promote the enjoyment, understanding and appreciation of gardens, sculpture, the natural environments and the arts” in an innovative and fun way. Chris and Katherine Pegman have been members of The Connection since 2008. Chris is a consultant/IT auditor for Hungerford, Aldrin, Nichols & Carter, PC. Katherine is the director of West Michigan Learning Center for Children with Dyslexia. Why did you two join The Connection? We want to meet new people, make new friends, and expand our network in the community. What do you enjoy most about being a member? We enjoy meeting new people and enjoying the ever changing beauty the gardens has to offer in all seasons. What has been your favorite event since you joined? The Be Merry & Mingle Event this December was a great opportunity to be at the gardens at night, all decorated for the holidays, and have the place open just for The Connection. We really enjoyed visiting the Railway Garden with its new additions and seeing the Tropical Conservatory at night, lit only by white Christmas lights. It was also nice to meet other young professionals and get advice about new responsibilities I face in my new position as director of the West Michigan Learning Center for Children with Dyslexia. The appetizers, drinks, and cookie decorating were great too! If you could own one of the sculptures in FMG’s collection, what would it be and why? It’s really difficult to choose since there are so many wonderful and unique pieces in their own right. One in particular would be Deborah Butterfield’s Bronze Horse. The look of driftwood with the weight of bronze is pretty amazing. Laura is the owner of The Hideout Brewery. She is a member of The Connection’s Steering Committee and has been a member since its inception. At the Hobnob & Hops Connection event, Wednesday, October 13, my husband, Ken and I got to enjoy the Frederik Meijer Gardens and Sculpture Park in an intimate setting. The farmhouse and the barn with music by Gabe Lundy drifting through the air was the perfect backdrop for an absolutely enjoyable evening. After grabbing a caramel apple made by Rocky Mountain Chocolate Factory and some delicious Michigan wine it was time to meet some new people. The “Minute to Win It” games were the perfect opportunity to meet many of the guests, share a laugh and discover some new skills. Who know you could actually stack 5 apples? We also got the chance to venture out into the chilly night for an afterhours sculpture tour. A small, but jovial group of us had a great time on the tram with our tour guide. We even learned a little something about art! The nice surprise is that I got to meet new Connection members that had just signed up that night. After winding down and heading home I realized how much I look forward to seeing them again at the next event in December. Mark your calendar for “Be Merry & Mingle at Meijer Gardens” on Thursday, December 16, 6-9 PM. I own and operate GRNow.com. Why did you join The Connection? I wanted to have a chance to get involved with and give back to an organization I love, Meijer Gardens, and The Connection is a great way to do that. It’s been great meeting other young professionals around the community and the events are really great because Meijer Gardens offers a setting no other location can. It’s difficult to narrow it down to one. Last year’s Summer Tailgate had spectacular food, the Fall event in the barn had a great atmosphere, and being able to meet the Chihuly installation artists at the event this past Spring was a really cool and unique opportunity. Definitely the Rodin of ‘Eve’ in the Sculpture Garden. I’m a huge fan of late 19th century art.